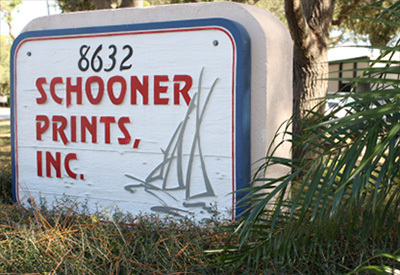 Located in Largo, Florida, Schooner Prints has been a premiere force in the wallcovering industry for over forty years. Started as a large silk screen hand print wallcovering company, we have grown to provide high quality Rotogravure printing as well as packaging and book binding options. Proudly family owned and operated, we only deliver the utmost quality in our products to ensure incomparable customer satisfaction. Schooner Prints is a dedicated green printing facility and utilizes only the finest, non toxic, water based ink systems. We are fully equipped and look forward to helping you produce your next wallcovering collection.